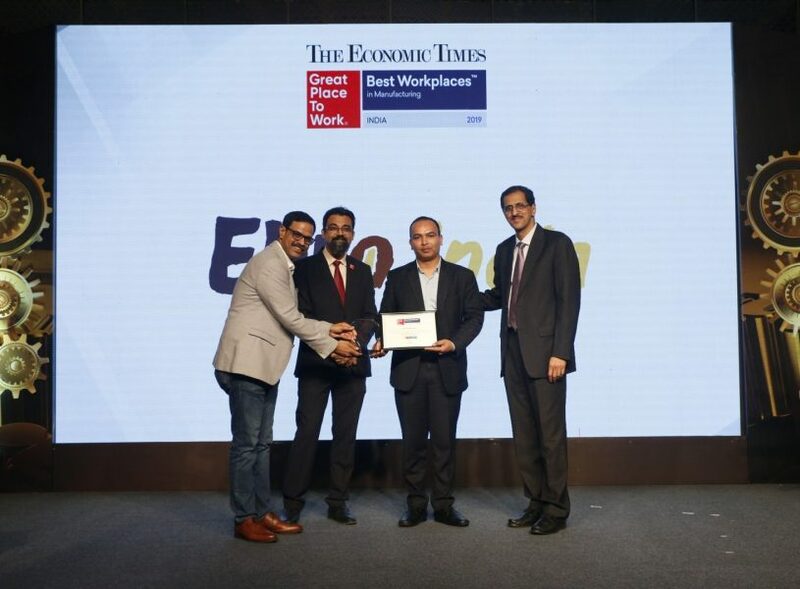 Following the two accolades it received in 2018, namely certification as a Great Place to Work®, an initiative granting recognition to the best places to work in over 50 countries worldwide, and in the category Great Mid-Size Workplaces 2018, ranking 11th among the 50 best mid-size workplaces (100-500 employees) in India, it has begun this year with a new achievement in the category Best Workplaces in Manufacturing 2019, positioned among the 25 best manufacturing workplaces in India. The award-giving ceremony was held on 25 January and published nationwide by The Economic Times, the leading newspaper in India. Once again, our hearty congratulations to the extraordinary team of Ebro India and its Managing Director, Jean Philippe Laborde.